If you were facing the Red Sea on one side and the Egyptian army on the other, what would you be thinking? Many in this moment of fear and dread, 3643 years ago, trapped between the water and the pursuing army, cried that they wanted to return to Egypt. Some had contempt for God and his promises. They’d lost hope and had forgotten so quickly the great miracles that had secured their escape from slavery. God’s advice to his people was to have courage and be like Moses who was faithful. Moses’ faith gave him the hope that God would be true to his promises. This was not mere optimism, but hope that was a deliberate and consistent choice to believe God the maker of the universe. Are you living with this kind of hope? Hope is a choice. And, Joseph had this type of hope and confidence in God when he commanded Israel to take his bones with them when they left Egypt. He had faith that God would fulfil his promises. But there is a real danger when we “harden our hearts” and our unbelief leads us into rebellion. This happened many times in the course of Israel’s journey to the promised land. It was only the very few whose faith in God gave them hope and the ability to walk with God. Men like Joshua and Caleb were able to set aside their fears and “enter the narrow gate” the way that led to eternal life. 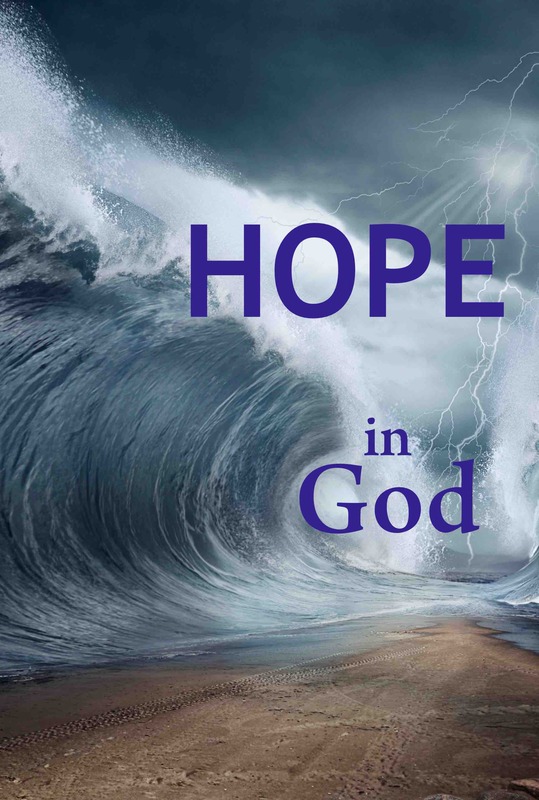 Even facing the mob of malcontents who were ready to stone them, they did not waver, but put their hope in God. When faced with our Red Sea and implacable enemies God gives us advice. When all the physical evidence seemed to portend certain destruction, God told the people to be firm and take a stand. Like Abraham and all the other faithful friends of God we need to put away fear and embrace hope because God is with us. We have priceless promises and we need to be “calm and carry on” knowing God is our hope. We can even face death with hope, because we can have the assurance of eternal life. Let us all make the choice to put our hope in God.